We’re bombarded by marketing messages telling us to get more done more quickly — like “30 pounds in 30 days” or other such nonsense. Then, “to get on with the doing,” too often we will follow the tried and true (so we think) approach of “plan the work, then work the plan.” Unfortunately, this approach results in only marginal (or zero!) improvements in performance over time — and requires massive expense and willpower to “make” the person or organization move in the appropriate directions — like losing weight. Now, you might disagree, but the science behind everything says it’s really pretty simple for most people to lose weight. Losing weight is just the process of increasing metabolism and reducing calories. However, losing weight isn’t really the hard part. It’s “keeping it off” that sabotages most everyone. THAT requires a completely different approach to change. No ROI on your $40 BILLION? Other than the US Federal Government (grin), who would put up with those results? Don’t believe the research? Ask your neighbor, friend or relative. 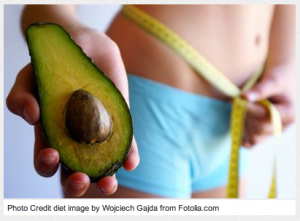 I’d be willing to bet that you’d hear that most people who diet regularly actually wind up weighing MORE in the long run — as they “yo-yo” from one diet to another. Why? 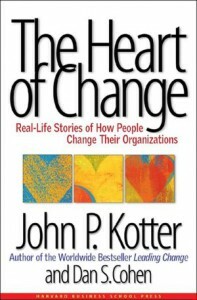 Because most people simply approach their diets the same way they approach their organizational change efforts. They put together (or buy) a plan, and then they work their plan. And create zero ROI. Plan the Work, Work the Plan? They sit forward in their chairs. Smiles replace furrowed brows, I hear some chuckling, and their expressions soften — if only for a few seconds — because I ask another troubling question almost immediately. The room is silent. I wait. Their faces brighten once again, and we’re off to the races for the rest my presentation. Hope. Or as I like to say, H.O.P.E. — Heart-Felt Optimism Powering Expectations. Doesn’t that sound great? Okay, for some of you it sounds a little fuzzy, or too “woo-woo” to be taken seriously. However, some really smart and experienced people have something else to say about hope. 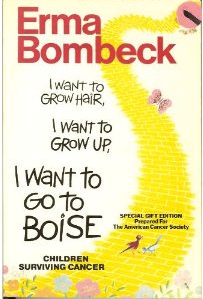 To Jerome Groopman and Lawrence Gonzales hope is CENTRAL to succeeding in grim situations — health challenges, shipwrecks, getting lost in the woods, plane crashes, etc. 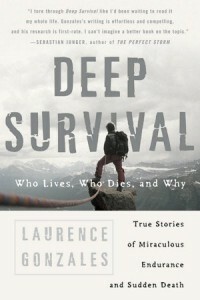 Then there’s Lawrence Gonzales, a journalist and author of “Deep Survival: Who Lives, Who Dies and Why“ . Perceive and believe. Don’t fall into the deadly trap of denial or of immobilizing fear. Admit it: You’re really in trouble and you’re going to have to get yourself out. Survivors don’t candy-coat the truth, but they also don’t give in to hopelessness in the face of it. Survivors see opportunity, even good, in their situation, however grim. Hmmm… Hope. H.O.P.E. — it’s central to survival and to dealing with significant illness. On the other hand, do you want to guarantee that change will fail? Motivate people primarily from the place of fear. Forcing the need to change (using the “plan the work, work the plan” approach by itself) pushes people into hopelessness quickly. They lose H.O.P.E and become cynical, feel marginalized, and stop giving their best efforts. And — they wind up gaining back (at least) all the weight they’ve lost. Hope-less. CLEARLY, there’s a better way to make change REAL. Why not START with being hope-full? Why not? What might be different if you hope more and fear less? I’m thinking your change efforts — both personally and professionally — will be FAR more successful FAR more often. I might even go so far as to say “wait” to start your change effort until you are filled with H.O.P.E. Hope is about two and a half feet tall. Hope smiles a lot and has blue eyes and a short tail that wags. It is the color of sunshine and happiness. When hope talks, you are the only one who can hear it. Hope raises its voice sometimes. It has to talk louder than fear. Sometimes you can coax it to come to you, but most of the time you have to be patient and wait. Then it will come to you. Do you have enough hope — especially for yourself? What about having a “reproducing” hope that creates “hope-lets” that you share with others? 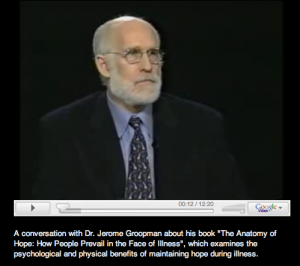 Dr. Groopman would call “hope-lets” the “domino effect” — I call it amazing. Have H.O.P.E. Share H.O.P.E. It matters. Thanks George! How nice to see your name again — I hope all is GREAT for you. I needed an uplifting article. Thanks Lonnie! Great to hear from you… Hope you’re doing well! Excellant article Bob! What a refreshing perspective and new way to look at “change” and being an agent for change, in all its shapes and sizes. Thank you for sharing it! Thanks Drew! I appreciate you sharing your nice thoughts with me. Change can be successful, and often is… But, how we “start” (filled with H.O.P.E.) is critical. Thanks again!